My Account is where you go to make any changes to your account or plans with Flip. We have provided an overview below of the Flip My Account functionalities. 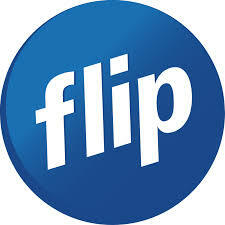 Here you will be able to manage your account as well as make payments and keep up to date with communication from Flip. Overview: This page presents a snapshot of your account status at a certain point in time. This section will also allow you to place your move house request or upgrade to VDSL, as well as confirm the amount of credit you have available to you. Top Up: Allows you to make a manual one-off payment or set up an automatic top up to your Flip account. Activity: You can see a snapshot of your current account activity including data usage as well as calls completed. Payment Method: Adjust your payment details or change your current payment method. History: View your past invoices and emails from Flip. Update Details: Update your contact details and add an additional contact to your account. This section is only available to customers who have a homeline service on their account with Flip. Here you can view the amount of calling minutes you have, purchase calling packs and phone features. Calling Overview: View available minutes on your calling packs. Purchase one-off calling packs or enable automatic monthly calling pack purchasing. Phone Features: Purchase 'Phone Features' for your homeline services and adjust features as required. Flip provides safe mode to all customers to act as a simple and non-intrusive first line of defense for your home against the more unsavory corners of the internet. Best of all this is free to all Flip customers. Safe Mode: Adjust your level of protection and internet content filtering. Broadband Data Usage: This is only available to customers who are on the 100 GB data plan or any other capped broadband plan. This section allows you to view data usage and purchase additional data blocks. Flip offers a range of Naked and Bundled Broadband plans. You can change your plan at anytime and plan changes occur on your next bill date. Plans Available: View and adjust your current broadband plan.